We’ve always got something exciting in the diary for you to get stuck into, so take a look below to see what’s coming up. Camping, Assault Courses, Survival Experience, Fun Runs, Endurance Challenges – you name it and we’ll do it! Most events are free and all events are open to all abilities! Devil’s Punchbowl Spring Walk and coffee – Sunday 26th May 2019. Join us for a cracking bimble through the stunning countryside at the Devil’s Punchbowl 26th May 2019. There’s nothing quite like a Sunday morning stroll to set you up for a good lunch so we’re planning a 10 mile stroll around the Devil’s Punchbowl, just past Guildford on the A3. And we’d be delighted if you could join us! We’ll meet at the Cafe in the Car Park at 09:30 Sunday 26th May and aim to get back to the Cafe for 13:00 so we can have a quick snack and head home. This event is open to everyone and also your friends and family, so please put the date in your diary. You’ll need walking boots/sturdy trainers, some water and enough clothing to keep you warm and dry! 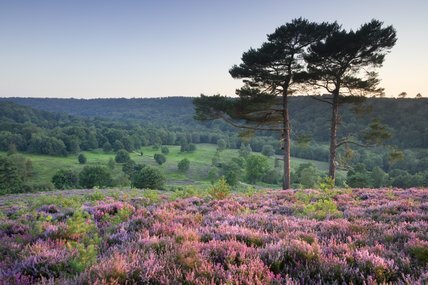 Meet at the Cafe in the Devil’s Punchbowl Car Park, Hindhead, GU26 6AG.